Simon & Schuster, 9781451692228, 480pp. 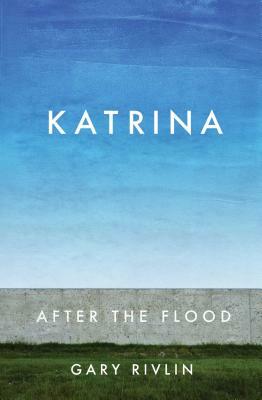 Ten years after Hurricane Katrina made landfall in southeast Louisiana—on August 29, 2005—journalist Gary Rivlin traces the storm’s immediate damage, the city of New Orleans’s efforts to rebuild itself, and the storm’s lasting effects not just on the city’s geography and infrastructure—but on the psychic, racial, and social fabric of one of this nation’s great cities. Much of New Orleans still sat under water the first time Gary Rivlin glimpsed the city after Hurricane Katrina. Then a staff reporter for The New York Times, he was heading into the city to survey the damage. The Interstate was eerily empty. Soldiers in uniform and armed with assault rifles stopped him. Water reached the eaves of houses for as far as the eye could see. Four out of every five houses—eighty percent of the city’s housing stock—had been flooded. Around that same proportion of schools and businesses were wrecked. The weight of all that water on the streets cracked gas and water and sewer pipes all around town and the deluge had drowned almost every power substation and rendered unusable most of the city’s water and sewer system. People living in flooded areas of the city could not be expected to pay their property taxes for the foreseeable future. Nor would all those boarded-up businesses—21,000 of the city’s 22,000 businesses were still shuttered six months after the storm—be contributing their share of sales taxes and other fees to the city’s coffers. Six weeks after the storm, the city laid off half its workforce—precisely when so many people were turning to its government for help. Meanwhile, cynics both in and out of the Beltway were questioning the use of taxpayer dollars to rebuild a city that sat mostly below sea level. How could the city possibly come back? This book traces the stories of New Orleanians of all stripes—politicians and business owners, teachers and bus drivers, poor and wealthy, black and white—as they confront the aftermath of one of the great tragedies of our age and reconstruct, change, and in some cases abandon a city that’s the soul of this nation.